Mia, now 14-years-old, has been under the careful attention of the USCF doctors to keep her kidney functioning and her life as fun and fulfilling as possible. There have been plenty of ups and downs, but Mia has stayed true to her warrior-like approach to living with a kidney that has not been fully functioning. She inspires the rest of us with her tenacious ability to bounce back from physical setbacks. In June 2018, Mia’s doctors determined that her kidney function was deteriorating to the point that they would fast-track a second kidney transplant because her kidney function was at 14%. Surgery is schedule for July 25th. Mia’s kidney donor will be her 19-year-old sister, Nyah. These are two truly remarkable young ladies; they are courageous and ready to take on this life-changing and life-saving challenge. The family is strong but they need your support. Transplant-related expenses can be overwhelming, especially when there are two family members involved! 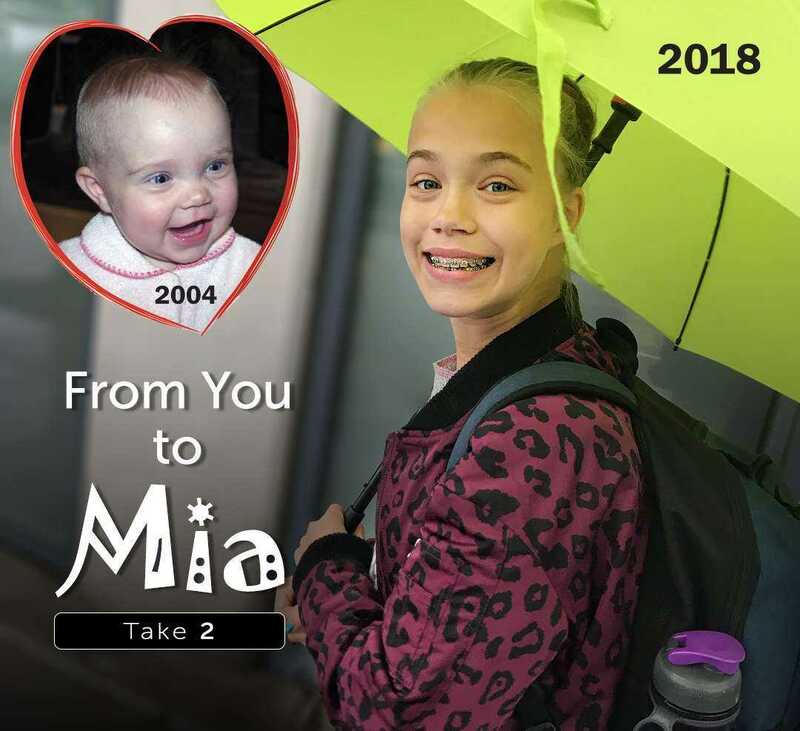 To lessen the family's financial burden, we have partnered with the Children's Organ Transplant Association (COTA), a national charity, again to re-start the From You to Mia fundraising campaign. COTA's services are completely free of charge and 100% of funds raised in honor of Mia will assist with transplant-related expenses. Please make a donation today to COTA in honor of Mia through this page and share this site with others. Every little bit helps and together we can make a big difference in the lives of transplant families. Thank you for your kind support! Stay tuned to the blog on this page to read more about Mia, Nyah and the rest of the family, plus fundraising updates and opportunities to help out. Sending all the love and hugs I can and all the well wishes I have. ???????????????????? TeamLilyB's love and prayers go out to you all as you care for 2 amazing daughters and work through your living arrangements in CA.